The Huawei P10 Lite is powered by the Kirin 658 chipset developed in-house by Huawei's HiSilicon subsidiary. It's a minor step over the Kirin 655. Like the majority of the currently available chipsets in the mid-range, the Kirin 658 offers an octa-core CPU with eight A53 cores. Four of those take the heavy lifting and work at 2.36GHz, while the other four take care of less power-intensive tasks while ticking at 1.7GHz. 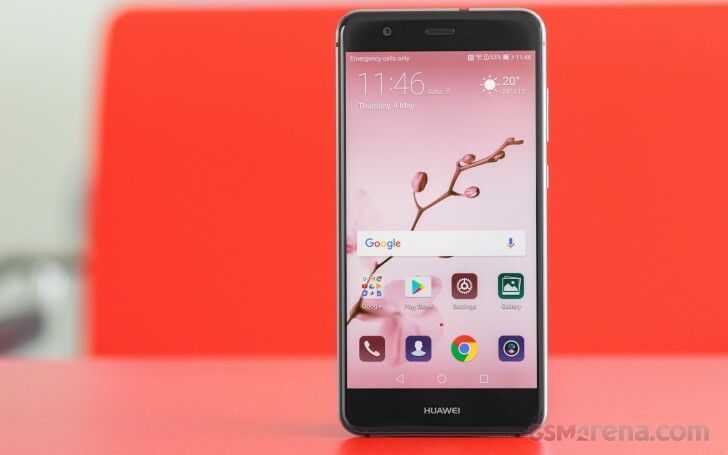 The GPU in charge of graphics is a dual-core Mali-T830, and Huawei also throws in 3 or 4 gigs of RAM depending on the exact model. The chip is built on a 16nm fabrication process, which is the most power-efficient process used for mid-range chipsets right now so it should help keep the phone cool even at full throttle. We kick off our benchmark routine with some processor torture as usual. A single A53 core can't get you very far on Geekbench, but at least its result offers consistent midrange performance results. The consistent score continues with the high-performance quartet on the multi-core Geekbench test - the P10 Lite is on par with the mid-range competition. The Helio X20 powered devices once again have an edge thanks to their Cortex-A72 pair. The Mali-T830MP2 isn't a powerful GPU, but the series has proven over the past few months to offer balanced graphic performance for the class - nothing over the top, but enough. And our graphic tests confirm that. The higher-tier Mali-T880 in the Helio P20 (Xperia XA1) and the tri-core Mali-T830 (Galaxy A5) apparently outdid the P10 Lite. Then there are the onscreen tests, where the Xperia XA1 aces the tests because of its lower 720p screen resolution. Other than that, the P10 Lite continues to demonstrate acceptable performance. Huawei P10 Lite didn't end on a high note in the last of our GPU tests either. It performed decently but uninspiringly on both BaseMark X and ES3.1 benchmarks. Our performance checkup continues with the compound tests - those gauge GPU, CPU, RAM, Web and OS performance. Here the Huawei P10 Lite aced the original BaseMark OS II in this class, while it posted a very good score on its v2.0 iteration. Finally, AnTuTu 6 cemented the lower mid-range spot of the P10 Lite across the board. Huawei P10 Lite is properly equipped for the class and won't fail you at any task. It handles organizing tasks hassle-free, and we had no issues playing popular games. It isn't a chart topper even next to fellow mid-ranges, but the P10 Lite offers balanced performance, and that's enough. The P10 Lite runs cool even at full throttle, so don't expect any heat issues no matter how you use it. Considering its asking price, we can safely say the P10 Lite delivers enough and has what it takes to behave well even under pressure.